In early May, HP released a flurry of updated, redesigned Intel-based business notebooks. Now, AMD – Intel's microprocessor rival – will power these machines as well. 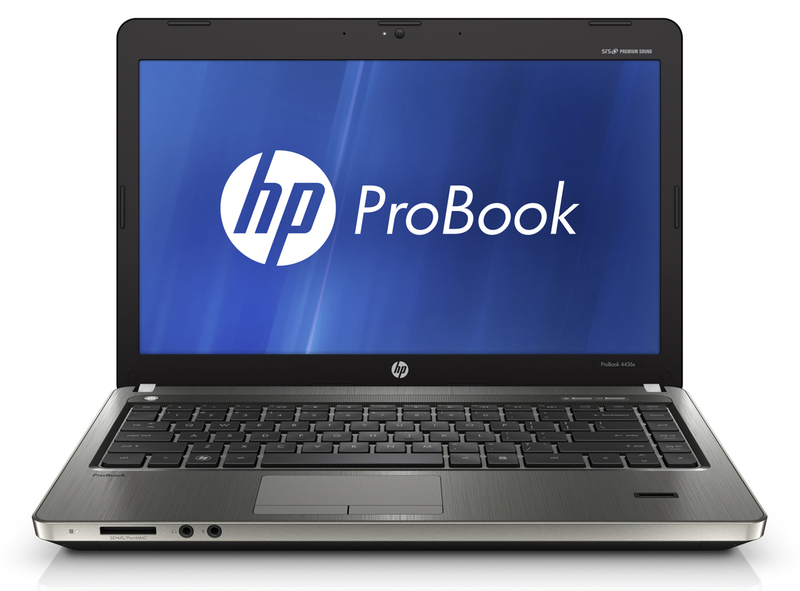 On Tuesday, HP announced new business and consumer notebooks equipped with the latest versions of what AMD insists on calling APUs – accelerated processing units – which combine CPU cores, ATI Radeon-class GPU cores with DirectX-11 support, Northbridge I/O, and video decoding on a single die. AMD released two low-power 9/18-watt Fusion processors – the C-series and E-series – earlier this year. The new 35/45-watt parts in the HP notebooks released on Tuesday are quad-core and dual-core members of the new Fusion A-series, formerly code-named "Llano", and intended to strike fear into the hearts of Intel's laptop-aimed "Sandy Bridge" Core i3, i5, and i7 processors. Will they succeed in giving Chipzilla palpitations? Time will tell. AMD touts its Llano processors as more-than-worthy competitors to Intel's Sandy Bridge chips – which, for that matter, could also qualify as APUs under a broad reading of AMD's definition, seeing as how they also have CPU cores, graphics, I/O, and video processing on a single die. How well do the APUs perform? Well, AMD has published a demo video comparing the new, top-of-the-line quad-core A8-3510MX APU to a comparable quad-core Intel Sandy Bridge i7-2630QM – and the results aren't pretty. For Intel, that is. AMD's demo video, being from the APU vendor itself, must be taken with a few dozen grains of salt. But it does show the top-of-the-line A-series chip using less power than Intel's Core i7 when running the same workloads. And when we met the new HP notebooks at a pre-release soirée last week, we found them to be cool runners, indeed. The five HP notebooks announced on Tuesday are twins of their Intel-based siblings in all respects but one – well, two: "What it really comes down to is the chipset and the processor," HP personal-system PR manager Mike Hockey told us. "Aside from that, they're identical boxes." Those chipsets, by the way, are AMD's A60M FCH in HP's higher-end 6565b and 6465b notebooks, and the A70M FCH in the lower-end 4535s, 4436s, and 4435s. Don't confuse "lower-end" with "consumer-level", though – although all five are business-class notebooks, the A70M FCH includes USB 3.0 support, while the A60M FCH doesn't. In terms of industrial design, the "identical boxes" to which Hockey referred are nice boxes, indeed. Gone are HP's annoying "Christmas lights" multicolored LEDs, and the cases are smoother, sleeker, and apparently sturdier, based on HP's Forge design platform. 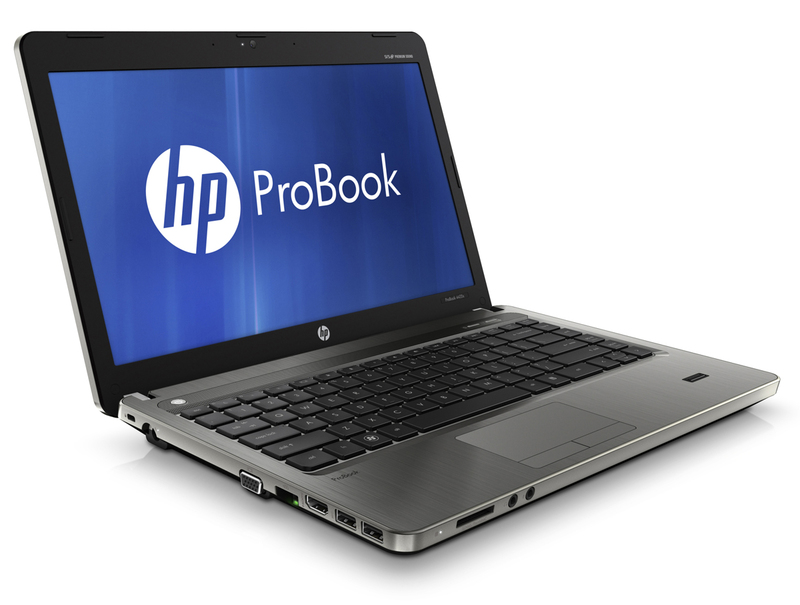 The ProBook 6565b and 6465b have aluminum and magnesium cases, and the ProBook 4535s, 4436s, and 4435s cases are plastic and aluminum. Referring to the Forge-based ProBook 6565b and 6465b being sold in big batches for corporate fleet sales, Hockey said: "When someone's coming in, and they're buying five-thousand, ten-thousand of these, they're handing them out to sales guys. These are being used on the road, so they've got to be really durable." 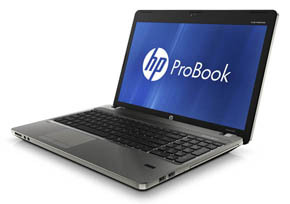 The ProBook 4535s, 4436s, 4435s, 6565b, and 6465b can all use HP's new DataPass pay-as-you-go 3G wireless-data service – if they include the company's optional WWAN module. 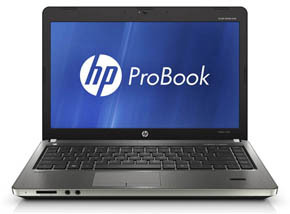 Hockey was careful not to directly compare his company's Intel and AMD notebooks, but he did say that when compared to earlier AMD-powered HP notebooks, each of the five new AMD-powered notebooks have improved graphics performance and better battery life – seven hours and 15 minute on the 14-inch 6465b when running MobileMark, for example, and six hours and 30 minutes on the 15.6-inch 6565b. "Basically 'all-day' battery life," he called it. Understandably, Hockey needs to keep both of his microprocessor suppliers happy, so he was loathe to express a preference or make a judgement as to his company's Intel-based notebooks versus AMD-based units. "It's about choice. Some people want to use AMD, other people might want to choose Intel," he said. "We're the only company that can offer you that choice." Hockey also wouldn't comment on whether the AMD-based notebooks, with their integrated ATI Radeon–class graphics, offered better graphics performance than their Intel-based counterparts. "I know we have better graphics performance than the previous generation of AMD," he said, adding that an Intel-versus-AMD graphics smackdown would have to be done through independent benchmarking. AMD's manager of client product marketing, Raymond Dumbeck, was equally circumspect. When asked how the AMD-based HP notebooks compared to their Intel-based siblings in processor and graphics performance, he said, "You're going to have to tell me," and also steered the conversation to battery life, instead. When working on comparable reference platforms, Dumbeck said, "Doing Windows idle, we had 11 hours, three minutes on battery life with our A8, which is top-of-the-line quad-core. And then we had an i3 Sandy Bridge, off-the-shelf, that was a dual-core i3. 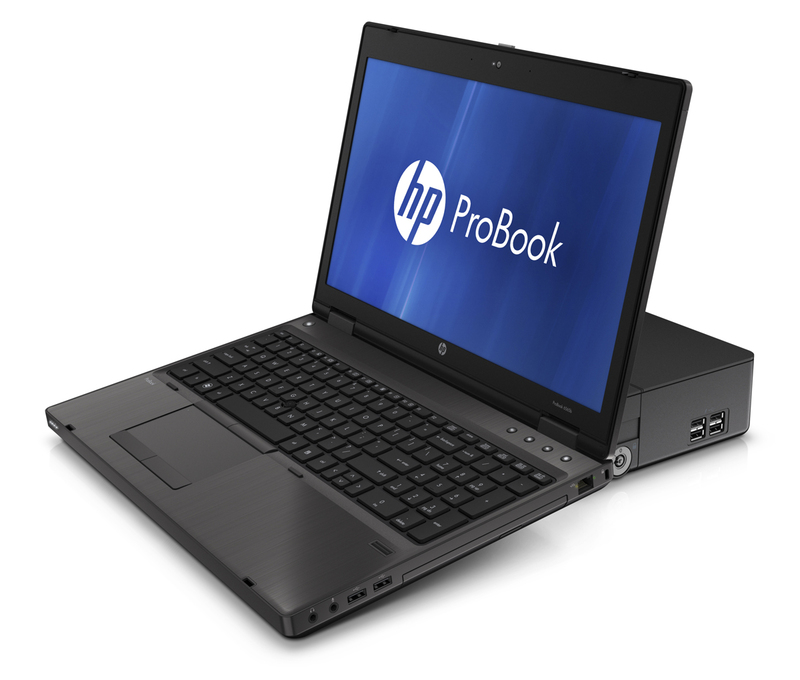 So we had the very top of our line and we had an i3 dual-core, which is entry/midrange. [With the i3] we saw about eight hours, 42 minutes." According to Dumbeck, one problem with comparing performance of Intel and AMD systems is a lack of adequate benchmarks. "The challenge we have today is that there's no specific benchmark in the market today that was actually engineered to measure system-level performance," he said. "Typically the benchmarks are either CPU performance or GPU performance," he said, "or they take the scores off of both of those and create some weighting scheme – whatever that weighting scheme may be and depending what they're trying to get out of it – and they create a final score. There's no single benchmark today that actually generates system-level performance." He did, however, evince a sense of confidence in the superiority of his APUs over Intel's Sandy Bridge chips. "The great news is [that] we're down the path, we've got a little bit of a head start, we're going to take advantage of that." He did, however, add a caveat: "I never underestimate a competitor." The A-series APUs in HP's notebooks – the ones that give AMD a head start in Dumbeck's view – include in HP's b-series notebooks the quad-core A8-3510MX with Radeon HD 6620G graphics, quad-core A6-3410MX/6520G, and dual-core A43310MX/6480G. In the b-series notebooks you can choose from a quad-core A6-3400MX/6520G and A6-3400M/6540G2, and dual-core A4-330MX/6480G and A-4330M/6510G2. 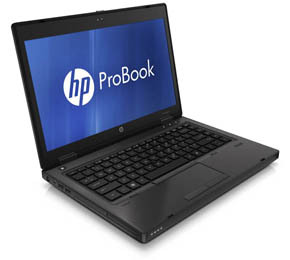 The ProBook 4436s and 4435s have 14-inch displays, while the 4535s has a 15.6-inch display. Each of the five models have a range of HDD options, including 250/320/500/750GB 7200rpm spinners available for all; 320/640GB 5400rpm units are available on the s-series notebooks, and a 128GB SSD can be popped into the b-series models. The 4436s offers discrete graphics, the 4435s integrated graphics. Blu-ray and DVD drives are also available for all, and an extra 500GB 7200rpm HDD can be installed in the b-series instead of an optical drive, should you so desire. To improve the sound cranked out from whatever you pop into those optical drives – or, for that matter, the quality of your tunes or PowerPoint presentations – stereo SRS audio and speakers are standard on all five models. Ports and slots are pretty much what you'd expect on an HP notebook: USB 2.0, 10/100/1000 RJ-45 Ethernet, ExpressCard/34, media-card reader, stereo in/out, RJ-11 modem (standard in the b-series, optional in the s-series). The 6565b and 6465b have DisplayPort video-out, while the 4535s, 4436s, and 4435s have HDMI-out. A FireWire 400/1394a port and a a combo eSATA/USB 2.0 port are only in the b-series. The s-series does have one bennie not found on the b-series, however: a single USB 3.0 port.